Mainstream VR games, like console games before them, tend to appeal to our baser interests, our bad sides. Case in point: I've smashed cars, shot people off rooftops and kicked dinosaurs to death in virtual reality, and that's just on one platform. Some people, then, might be surprised to know that there's one category of VR experience that just won't be beaten down by the glossy space shooters and Hollywood promos that dominate the stores. VR for Good, social impact, VR documentary shorts – whatever you want to call them, they're still on the scene in 2018 and they're higher profile than ever. They're also incredibly varied, using experiments in comedy, live action, animation and super slow mo to tell stories and change minds. Read this: Can VR really be used to reduce pain? To celebrate the year's VR for Good highlights, we asked Mária Rakušanová, curator of the Immersive Stories and Interactive Worlds program at London Raindance Film Festival, to talk us through the most exciting 360-degree films and interactive experiences as well as what we can expect in 2019. The winner of Raindance's Best Social Impact Experience for 2018, and first shown at SXSW, The Evolution of Testicles is part of Oculus' VR for Good Creators Lab. In this case, director Ryan Hartsell worked with loveable actor Chris O'Dowd and the charity Male Cancer Awareness Campaign to create the eight minute short which features a scrotum-shaped hot air balloon. The teaser trailer's on YouTube (above) but you'll need an Oculus headset to watch the full VR short. "As the name suggests, the experience aims to raise awareness about testicular cancer, but does so through the medium of laughter (which really makes all the difference! ), brilliantly delivered by Chris O’Dowd, who can pretty much make any topic sound hilarious," says Rakušanová. "When receiving the award he said that the social impact of the medium was very important, but also marvelled at the fact that, in his words, 'we’ve won for a film about men checking their balls!'. He also gave Raindance kudos for 'having the balls to select a VR film about balls'." You can watch Channel 4's 360-degree VR doc, directed by Jonathan Rudd, on YouTube in up to 4K now (above) or via a VR headset. In some ways, it's what you'd expect – testimonies from families who lived in Grenfell Tower before the tragic July 2017 fire – but the added animation shows that virtual reality documentaries can experiment just as much as VR entertainment. Grenfell: Our Home won the Best Documentary Experience award, within the Immersive Stories program, this year. "It offers a view not only of how the fire affected the lives of those survivors, but also of the vibrant community that existed there before the tragedy, something that can now only be experienced through this type of virtual reconstruction," says Rakušanová. "It opens up very interesting possibilities around the power of VR to help address trauma and repair communities. This experience very much resonated both with this year's VR Jurors as well as the Londoners who experienced it at our Raindance Gallery of Immersive Stories showcase." This installation has been touring VR festivals and events – from London to New York to Japan – so it's not clear when it will make its way onto one of the major platforms. Its subject? The world's largest tropical forest park, Tumucumaque in north east Brazil, which is under threat. 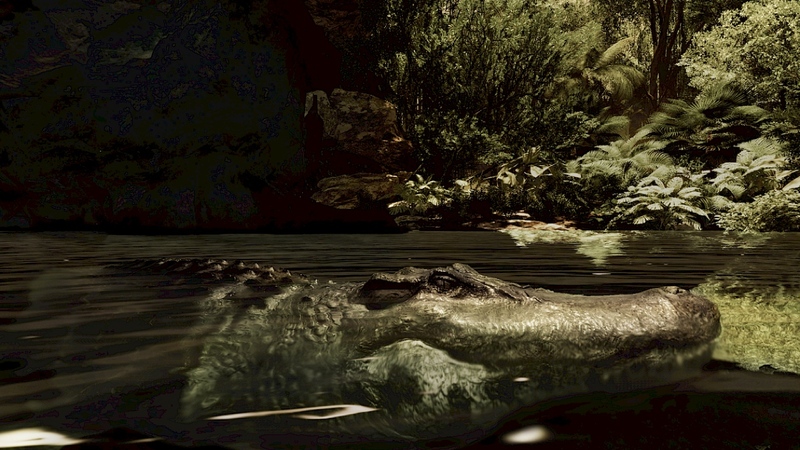 As part of the experience, though, you get to switch between a third person view and a first person view, through the eyes of an eagle, a tarantula, a vampire bat, a poison dart frog and a Black Caiman crocodile. "Perceptions from the perspective of wildlife is interpreted as a sensory experience that is comprehensible to the human perception system," explains Rakušanová, "with the aid of ultraviolet colour spectra, movements in super-slow motion, visualisations of echo sounder tracking and colour night vision as well as spatial 3D sound." Interactive Media Foundation collaborated with the Berlin Museum of Natural History to recreate the shapes and textures of over 2,000 plants in CG animation for the piece, and the binaural sound uses recordings from the actual rainforest. The Raindance curator's final top pick is this two parter from Conservation International, consisting firstly of a 360-degree film about a community run elephant sanctuary called Reteti in Northern Kenya: "It's directed by David Allen and shot by cinematographer Chris Campkin, who literally had to battle lions running off with his camera rig during the shoot." The second part, by Adam May and Elliott Round, is a room-scale experience for Steam and the Vive Pro headset, with an HP backpack PC and voiceover from actress Lupita Nyong'o. "It uses Vive trackers that are attached to real life objects such as a stethoscope or a milk bottle," says Rakušanová. "The interactive experience allows you to become an elephant keeper and care for Dudu, an orphaned baby elephant, nursing her back to health. Dudu was created from thousands of photographs and detailed CGI to look incredibly real, and the experience proved extremely popular with kids and adults alike at the festival." As for what to expect in 2019, Rakušanová says that most of the VR submissions to Raindance Film Festival this year were 360-degree films, not fully fledged VR experiences, but that might be about to change. "I got the chance to see concepts and pitches, and try early builds for VR for Social Impact experiences that will come out in 2019, where creators are working on real-time interactive experiences created in game engines," she says. And the very fact that VR can alter how we experience the world, as in Inside Tumucumaque, means that there are many more real world issues which could benefit from the technology. "Some are even episodic, where the narrative evolves over a series of episodes. Whether it’s fighting drug abuse or raising awareness about mental illness, these experiences dive you deep into a condition or help you experience an altered perception or a feeling one experiences under a particular substance."